Governor Haley, we call on you to follow the lead of the Governors of Michigan and Alabama and reverse your plans to settle Syrian "refugees" in South Carolina. Michigan's Governor Rick Snyder has recently reversed his plans to accept Syrian refugees, saying his "first priority is protecting the safety of our residents." Alabama's Governor Robert Bentley said he reached his decision "after full consideration of this weekend's attacks of terror on innocent citizens in Paris ... I will not stand complicit to a policy that places the citizens of Alabama in harm's way." Accordingly, we respectfully urge you to heed the opposition expressed throughout South Carolina to your plans and to fulfill your most fundamental responsibility to protect the public safety of our South Carolina families and communities. 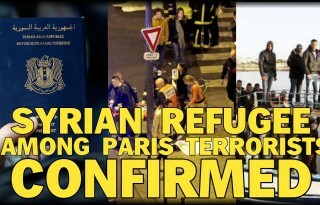 In reflecting on the murderous horror that has recently occurred in Paris, Congressman Peter King, R-N.Y., chairman of the U.S. House Counter-Terrorism and Intelligence Subcommittee of the House Homeland Security Committee, has said the U.S. has no databases, no government records, and no employment records against which to vet Syrian refugees. "We don't know who these people are," King told Megyn Kelly of Fox News. South Carolina has many unmet needs without rushing to open the door to a community of high-risk individuals who will add new burdens to our communities, schools, medical facilities, law enforcement, social services, welfare and public benefit programs. Experience has shown throughout Europe and the United States that in addition to radical Islamists who are thought to be embedded among the refugees, second and third generation Muslims are highly prone to be radicalized and to be the cause of many acts of terrorism. There is no compelling reason to open our state to individuals from a known hotbed of Islamic extremism who security officials say cannot be safely screened and who would love to bring suicide vests and grenades to the streets of Charleston, Greenville or our State House. Your first obligation is to the people of South Carolina, Governor Haley, and any initiative to impose enormous new burdens and dangers on the people of this state should only be done after consultation with the public, community leaders and with the approval of our elected state representatives.